The Crape Myrtles on the grounds of the state capitol bloom in early March. I tried to frame this Texas cowboy with a background of purple. 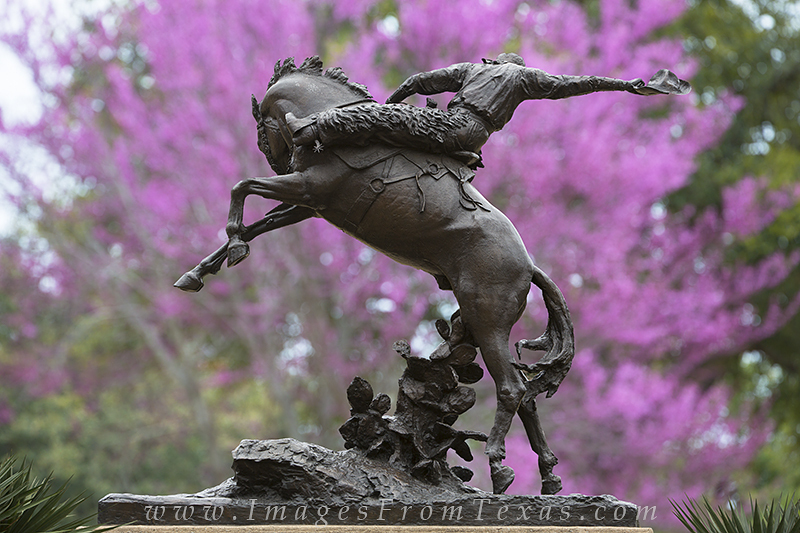 I'm sure no self-respecting cowboy would prefer to be draped in pink and purple, but it worked for this angle. I had to shoot through some trees, so it took some work to remove the extra branches from this photograph. Still, the extra time was worth it. Photo © copyright by Rob Greebon.